One of the great advantages of implementing a Hosted VoIP Phone Service is that it can be customized to match the needs of the business. There are a variety of standard items that should be customizable in any VoIP phone solution. The right hosted VoIP provider can serve in a consultative manner to discern how those items should be programmed to meet the business requirements. Great providers can take customization to another level and have your system do things to delight your associates and customers. Dynamic on-call programming – there have been several customers who deploy a varied on-call schedule through a selection on their after-hours auto attendant. They are simply able to punch in some codes on their phones that select the specific person or ring group they want to be on-call for the day or period. Multiple caller ID delivery – some companies have multiple subsidiaries or brands they represent. sipVine can fix a specific caller ID being delivered by various associates, and provide the ability to deliver different caller IDs depending certain outside line access selections. E911 notification – one of sipVine’s customers requested a central notification process if a phone in their context dials 911. This is unique and important to their application. If a 911 is dialed from phone on their network, a central phone is immediately notified with an audible message and email notice is delivered to designated parties. There are a number of choices out there for a hosted phone service provider. As you conduct your research, see which providers are “quote driven” and which ones want to know about your business and how you utilize the phones. That will give you a pretty good idea as to how they will service you going forward. About the author: Mark Greim is the Vice President of Sales and Marketing at sipVine, a provider of a variety of digital phone solutions and services. Mark has extensive experience working for start-up or entrepreneurial organizations and has a passion for affordable, reliable, and purposeful technology solutions in those environments. You do not need an expensive phone system to enjoy the benefits of call management via a call queue or ring group. Securing your service with the right Hosted VoIP provider who can effectively consult with you and program your call flow to balance customer needs and employee capacity will deliver the benefits you are looking for with your hosted system. Ring Group – Inbound calls are directed to a set of employees and they ring all phones at the same time. If no one is available to answer, it can be programmed to roll to a back-up group or move into an auto attendant. 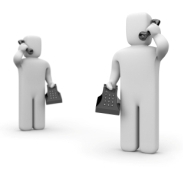 Call Queue – Inbound calls are directed into a queue, where the caller is on hold for an available attendant. Employees need to log in and log out of the queue to accept calls. Programming and system capability differ widely at this point, but typically there are either opt out processes or time out process that direct callers to an automated attendant. The beauty of the call queue is the equitable distribution of calls to employees in the queue. Callers typically will hear hold music and messages while they wait. Depending upon preferences of the company and their customers, the length of time in queue is a programmable variable. The challenge with call queues is the management of the employees from a log in/log out perspective. If someone forgets to log out, calls could be directed to an unattended station. Again, there are some programming variables to solve for such an issue, but it could lead to some longer hold times for a caller or two until the programming kicks in. Ring groups are more of a static program with a fixed number of rings between groups and ultimately to an auto attendant as a back-up. Callers hear ringing and not hold messages and automated attendants as back-ups can provide for routing to people or departments or for message delivery. The benefit of this approach is that employees in the group are free to move about without worrying about logging in and out of the queue. Additionally, the fixed amount of time before back up groups or attendants are engaged is seen as a benefit. The downside is potential inequity of call disbursement between members of the group. Ultimately, the decision comes down to striking the right balance between customer preference and employee management. Companies that bring a solid understanding of customer preferences to the table are a step ahead in programming the right solution. Switching to a VoIP phone solution can provide your business with a host of features and advantages. We are reviewing five of the ways your customer communications can be enhanced by with a Hosted VoIP Solution. Granted, all businesses are built differently, which can present more or less opportunities than the ones identified below. A key takeaway is that, upon selecting the right hosted VoIP provider, you can explore many improvements in communication processes for the betterment of your customer experience. The technology is powerful, affordable, and within reach! Efficiently handle inbound calls – Many businesses handle this differently. Some preach the benefits of having a “live” person answering calls, while others prefer to have an automated attendant route calls. The question should focus on what the customer’s demand. The good news is that hosted VoIP solutions can provide the ability to blend the methodology to effectively manage the calls. Say the goal is to have calls answered live. 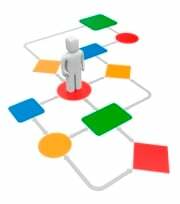 You can build in a ring group process to ring a primary and secondary ring group prior to resorting to an auto attendant process. If customers will work with automated routing, an auto attendant can be at the front of the process. Your auto attendant should be built around why customers call, making sure you have easy to understand options that address the majority of issues. Examples would be departmental routing such as “customer service” or “to place an order”. To maximize satisfaction with an auto attendant process, you should keep options to a minimum and avoid multi layer processes. Improve satisfaction with departmental ring groups – As mentioned above, creating ring groups surrounding employees in a department allows for the quick handling of calls. Note that ring groups differ from call queues in that the phone call rings a group of people for a select number of rings before a ring group voicemail takes over. A call queue involves the team logging into a queue and callers being dropped into that queue for the first available caller. Companies can deploy either or both strategies depending upon the customer requirements. Customers can be routed to the ring group or queue from an automated attendant or from any associate answering a call. The queue or ring group simply needs to be assigned an extension for calls to be manually dropped in. Every queue or ring group process needs to have an efficient “end” stage. This can be a simple voicemail option with the voicemail converting to an email to route to whoever will be responsible for handling the requests for the department. It also may include an “opt” out feature, discussed below. Allow callers to escape from voicemail – Whether your callers hit your personal voicemail, are in a call queue, or hit a voicemail for one of your departments (ring groups), it is always a best practice to provide a zero out option. Such options can be custom programmed, but most have the option to ring back to the primary ring group or a designated person. Depending upon the nature of your business and the needs of your callers, some may be fine with leaving messages and getting a prompt return call. However, others may require getting to a live person. Hosted VoIP services can even provide for emergency routing to a designated answering service or a cell phone ring group consisting of your company’s designated on-call employees. Increase accessibility for associates with high customer touch requirements – Another great benefit of hosted VoIP solutions is to be able to provide for accessibility of your key contact personnel with your customers. Using features such as find me / follow me or other forward options gives your employees to be found wherever they may be. If they are on a ring group, the phone will forward to the number designated. Another option would be to have a simultaneous ring to the associate’s desk phone and cell phone. For sales and support personnel, this provides a great way to be available for customer calls. Because the service is hosted, associates can take their phones home or wherever they can connect to high speed internet. Their phones will register and operate as if they were in the office, including any ring group involvement. This will provide great flexibility for associates who need to work remotely. There are a few cautions with this option. You will need to make sure that ring groups ring less than 20 seconds or folks with simultaneous rings or follow me options set for cell phones will not have their cell phone voicemail pick up. Additionally, if cell phone users hit ignore or are out of service, the cell phone voicemail will pick up instead of the office voicemail. Implementing on-call schedules for support personnel – For businesses that have selected a hosted VoIP service provider who can customize programming, there are some higher level actions that will allow for the selection of employees who are active on call. Such applications come into play when an after hours auto attendant or during hours emergency attendant can ring to designated on-call associates. You can create a menu of who will be on call and include desk phone extensions and cell phones in the mix. Management can select which group is on-call with pre-programmed dial selection or web interfaces where available. I hope this list has been informative and look forward to any comments. 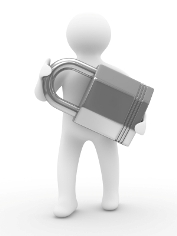 Secure the services of a Hosted VoIP Provider; check. Select new phones and replace your antiquated phone system; check. Transfer your phone number to your new service; check. Now, how do you make your new service and system really pay dividends for you and your company? Every company is different, but there are some big time benefits that can be delivered by this new technology. Virtualization of Your Business – This is certainly much more than a work from home strategy, which hosted VoIP services can provide. Telecommunication with your customers is no longer defined by what occurs within the walls of the business. Instead, it can be a comprehensive communication philosophy that maximizes contact points and easily facilitates such connections. 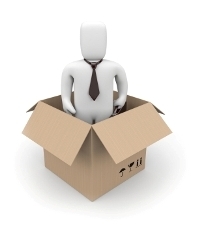 Yes, you can deploy people at home, but also where the labor pool matches your business need. You may have a business located in one city, but you’ve hired a support team in another due to the economies of the decision. To the customer calling and all employees, a hosted service can deliver the same experience as if they were all under the same roof. Centralization of Functions – If you have a business that has multiple locations with similar functions, you can facilitate the centralization of the activity with a hosted phone service. If customers are calling into their local branch and looking for “customer service” or any other common function, this activity can be centralized or handled as a queue regardless of the location! Either way can save the company money! Expansion of Communication Touch Points – Most companies have certain employee or employee groups that aspire to be very reachable and/or available to their customers. The sales department, as an example, can benefit from the variety of features a hosted digital phone solution can offer. For example, such employees can be provided with a direct dial number, which can simultaneously ring a cell phone or be forwarded to a phone when the employee is away from the office. Additionally, any voicemails can be delivered to the employee via email. If they have a smart phone with company email, then they will be able to be alerted to and listen to all messages sent to them. Companies can deploy an opt out of voicemail by pressing a digit and be directed to an attendant, who could provide assistance for the employee who is unavailable. There are a tremendous amount of possibilities. The key to unlocking this power is to contact the right VoIP provider. Such a provider provides solutions that are customized to meet the needs and enhance the communication capabilities of their customers. They should consult with you regarding the capabilities. What are you waiting for? Schedule a consultation today! About the author: Mark Greim is the Vice President of Sales and Marketing at sipVine, a provider of a variety of digital phone solutions and services. Mark has extensive experience working for start-up or entrepreneurial organizations and a passion for affordable, reliable, and purposeful technology solutions in those environments. One of the first decisions businesses make when implementing their Hosted VoIP system regards the call flow for their incoming calls. Good hosted VoIP providers will guide you through the many options and customization now available to your business with the technology. Where it is possible to match your current call flow, taking advantage of the options afforded to your business through an auto attendant, direct inward dial numbers, and ring groups can help create an edge for your business in a competitive climate. Auto Attendant – Businesses can place an auto attendant as a call manager at various places in the call flow. Some companies choose to have an auto attendant at the beginning of the call flow, directing callers to the departments of choice. Others have placed the attendant after first ringing a primary receptionist or a group of employees, thus serving as a back up call manager during high call volumes. With time of day routing options, the attendant can be changed from a primary or back-up as the company chooses, such as after hours. The fundamental question regarding the attendant surrounds how to best delight the callers to the business. Direct Inward Dial Numbers (DID) – Another option of VoIP systems provides is the availability of DIDs for all phones in the business. This provides an avenue for company employees to provide their direct number to callers specific to them and bypassing the initial call flow to the business. Callers who have a routine destination to that employee see it very beneficial to bypass the receptionist. With options such as call forwarding, simultaneous ring to cell phones, and voicemail to email, concerns about finding the specific employee when callers need them are diminished, and it makes the primary call flow to the business more efficient. Ring Groups – Deploying ring groups throughout the call flow for your business creates an edge for your customer satisfaction. As mentioned, initial calls to your business can point to a primary receptionist or a ring group of employees or flow from the receptionist for a few rings, a back-up ring group, then to the Auto Attendant. Once the initial call is answered by either an individual or the attendant, they can transfer the caller to the specific individual or another ring group associated with a department. For example, your business may have a customer service department. An extension can be created where the call can be transferred that rings all or some of the phones in your customer service department. Again, one of the signs of a good hosted VoIP service provider is their ability and desire to consult with you on the variety of options available to your business and to do the programming of the call flow for you. There are many providers out there that simply ship the phones to you and provide a web portal for you to design and program call flow. Where self service is nice, most businesses converting from traditional systems are not aware of the variety of options now available to them and don’t have the best practices and examples of how to program and deploy call flow to enhance their call flow experience. As you narrow selection of your hosted VoIP provider, prioritize call flow customization and programming as one of the essential selection criteria you will use in making your decision. One of the greatest benefits of a Hosted Digital Phone Service is the flexibility it offers to match the unique communication flow found in every business. Many businesses are surprised and even intimidated by such flexibility in their phone system, so starting with a list of best practices can get the ideas flowing. Call Flow – the initial decision companies face is how calls flow into the office and when to deploy an auto attendant. The vast majority of sipVine customers prefer to have calls answered live and utilize the auto attendant as a daytime back up and a primary for after hours. Most customers direct their calls initially to a primary receptionist for a few rings and then to a back up group of a few people for a few more rings. If all are busy, the auto attendant backs them up and directs callers to their appropriate party. Each ring is approximately four seconds in duration, and it is a best practice to have calls answered under thirty seconds. 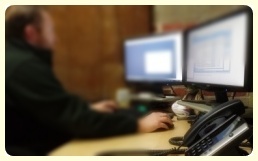 Auto Attendant Programming – the fundamental decision on the auto attendant should surround how callers typically are routed after the call is answered. If it is to specific individuals, a dial by name directory should be the first option. Avoid listing out a handful of employees in favor of a directory, as a list may signal the size of your company. If your calls are directed to departments, such as sales, customer service, billing, etc., place the departments in order of volume. If there is no answer by the ring group associated with the department, the call should flow to a customized message associated with that department and the message forwarded to the appropriate distribution list. The auto attendant should only be a single level and you should avoid more than six options. Always include an ability to leave a message to the general voicemail box. After hours auto attendants should be separately programmed and the recorded message should indicate the office hours. Options should be limited to a directory and the opportunity to leave a message. High Contact Employees – in many companies, it is critical to have certain calls answered every time, or at least creating that option. With a hosted digital phone service, companies can deploy a find me/follow me approach or set it up so that their cell phone rings simultaneously with their desk phone. Sales personnel are the primary example of this situation. As they tend to be out visiting prospects and not in the office, a simultaneous cell ring provides them the opportunity to be “found” by callers no matter where they are located. Program to Match your Callers’ Needs – there are numerous other options available to businesses who have chosen a hosted digital phone service. As a best practice to programming any option, put yourself in your callers’ situation and consider how they would like the option to work. Chances are it would also enhance the efficiency of your office. VoIP phone service offers your business many features that can improve your communications experience. If your hosted VoIP phone service provider suggests that all you need to do is plug your phones in and you’re in business, you are missing out on the opportunity to customize the service to advance your communications with your customers and employees. Certainly, one of the great benefits of voice over the internet comes from the fact that your phones will register and download their configuration wherever your employees office, whether it be at the home or within the four walls of the office. Many VoIP service providers offer the opportunity to save money on phone service and tout “plug and play” installation. However, digitizing your phone service platform also provides your business the chance to program the set up. Customized Call Flow – Incoming calls to your business can be directed to multiple people, a single receptionist, a sequential series of people, or a combination of the above. Automated attendants can be in place as a primary or backup service that can aid the incoming call efforts. Centralized Reception for all Branches – If your business operates at multiple locations, whether it be in the same town or across the country, you can centralize your reception efforts for incoming call activity and save resources. Time of day routing can be in place if your business covers multiple time zones. VoIP phones can have multiple main line appearances, so your reception function will know how to answer the call. Mobile or Virtual Employees – Your VoIP phone service can enable your remote or mobile employees to be more in touch with internal or external calls. Phones can be deployed at the home or office, and every employee can be on an extension dial pattern regardless of location. Employees can also have direct inward dial numbers (DIDs) and bypass the reception function as well. Finally, their office phone can be forwarded or programmed with simultaneous ring to their cell phone so they can always be reachable when they are called. These are just a few of the ways a VoIP service can be custom configured to enhance your business communication or be molded to conform to how you do business. So, don’t settle for drop shippers wanting you to plug and play. Make sure your potential VoIP provider can customize your service to meet your needs! Call Holding on Line 1...Wait, no More Lines with VoIP! One of the great advantages of a digital phone system is that your business is no longer limited by the number of analog lines you have provisioned by the phone company. The only limitation to call volume is the amount of bandwidth you have available, and VoIP calls do not take much bandwidth. This has allowed businesses to no longer worry about “over-provisioning” their phone service in fear of not having a line available for the next incoming or outgoing call. However, it does present a challenge for companies used to paging employees with instructions to pick up a call on whatever line. Why is this? Again, in a digital phone world, calls aren’t coming in via phone lines. Calls terminate to the actual phone where the call is picked up or placed. If a company has a main incoming number that rings multiple phones, the person who actually answers the call now has that call connected to their phone via a sip trunk. So, it is not tying up a line in the traditional sense. That employee can juggle additional incoming calls, let other calls roll to others in the ring group, or let calls to their direct inward dial number roll to their voicemail. This can take some getting used to for companies used to the traditional line approach, especially if they need to page others to pick up a call holding. The simple work around is transferring the call to the intended party. That call is then “terminated” to a new phone. But, what alternatives are available for businesses needing to place a call on hold and be picked up by another party from any phone? At sipVine, we have these customers place callers in “park” by transferring them to a park extension. They then page the office over the phones or overhead speakers with the message that there is a call holding for a certain party on “park 1”. The intended party can pick up that call by dialing a code. We have simplified this with some features on Cisco phones, where some of the buttons are used for various “parking lots”. This provides for visibility of calls in park and for a one button pick-up for the intended party. The button basically enters the code and “transfers” it to the extension of the party automatically. This allows for the business to take advantage of the new technology with no restrictions on incoming and outgoing calls, but also have their new phones work like they did in the past. Make sure your digital phone provider has the capability of customizing a solution to meet your call flow requirements, or you may have to conform to how their solution works. Granted, this is a bit confusing to write about, but the solution is easy to get used to. To discuss this further for your particular business application, feel free to contact sipVine! There are countless benefits available for businesses when they switch to a hosted VoIP phone service. Price is a big driver that has certainly been delivered by national VoIP providers as well as smaller, regional or local carriers. However, when choosing a provider, don’t just settle for the price benefit received from providers who merely drop ship the phones with basic configurations for your business. The beauty behind hosted VoIP phone service is that there can be many programmatic features and custom configuration options for your business, assuming the provider has a robust and flexible platform. Every business has a flow of how they would like their calls routed and handled, and there are many ways to customize this delivery. Your first test of a provider’s willingness to customize a call flow is whether they conduct a configuration meeting with you in advance of the delivery of the phones. If it is merely setting up direct dial numbers for every phone and driving calls to your main number to one individual or to an auto attendant, there is a chance that you’re missing out on options to make the phone service work exactly how you would like it to. In addition, one very important decision point is who is taking the responsibility for your voice quality. 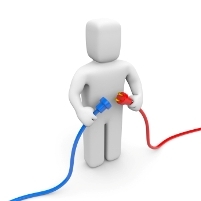 You should be alerted to potential issues if a selling point from a drop shipper is “just plug the phones into your office LAN and they work.” Hosted VoIP phones do in fact “work” when you do this, but call quality has not been addressed. If this is addressed merely by internet bandwidth sizing and capacity, you still may face call quality issues. Make sure your provider is delivering a new router or edge device for your LAN that has Quality of Service software built in. This will ensure that your voice packets over the internet are prioritized and are not interrupted by data traffic. With careful selection of your VoIP provider based upon their desire and ability to configure your phones and call flow to how you do business and how they address call quality, you will enjoy BOTH economic benefits and the many benefits of the advanced calling features of a VoIP phone system! How can Digital Phone Service Technology Manage your Call Flow? · Incoming Line Options – The first variable in custom programming is determining how incoming calls to a company’s main line are handled. If an automated attendant is not utilized, phone calls can be directed to a receptionist, ring a group of people simultaneously, or be programmed to roll from selected individuals as desired. · Time of Day Call Schedules – Businesses can choose to program call routing schedules based upon the time of day. The best example is before and after hours of operation. Businesses can have their calls directed to alternative phone numbers (answering services, cell phones, etc.) or to an after-hours auto attendant. Businesses with branch locations in multiple time zones can direct incoming calls based upon staff availability for that time of day. · Hunt/Ring Groups and ACD Queues – You can also designate groups of people to be eligible to take a specific type of call. For example, you may have a customer service department with multiple representatives. Your receptionist or auto attendant can send new calls into this group list, which can be programmed for simultaneous ring, hunting for the next available attendant, or in an actual queue. These can be as numerous as your business has categories for customer contact and each can be uniquely programmed for the right ring pattern for the situation. · Automated Attendant – Customers can be routed directly to the right group of people to meet their needs through an automated attendant. This eliminates the need for a reception or call screening resource. There are some good guidelines to follow for effectively utilizing an auto attendant, as if it is implemented correctly, it can enhance your customer satisfaction and drive efficiency. These are just a few of the ways a digital phone service provider can streamline your communication patterns. As you evaluate providers, ensure that as a part of their installation and service that you receive this type of programming customized to how you do business!